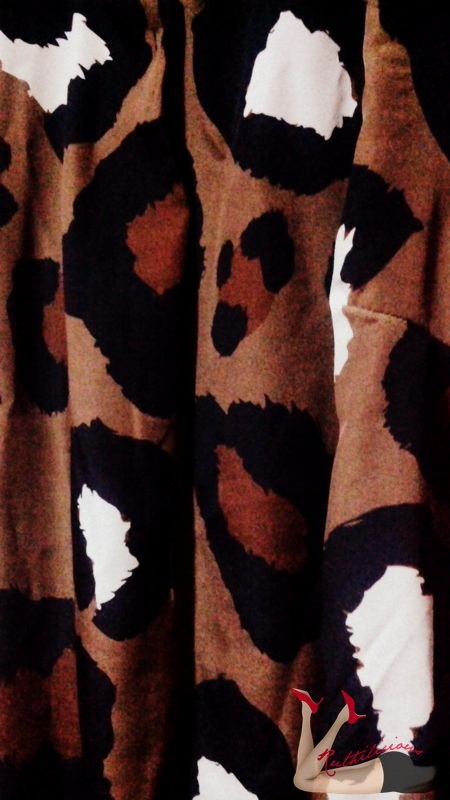 It is been a while since the last time I wrote about my fashion great buys. It doesn't mean I stopped shopping. I cannot stop shopping, I will die like most of the girls I know. I just stopped writing about them because it is either, I am too excited to use them, or I am just too busy (which is always the case). 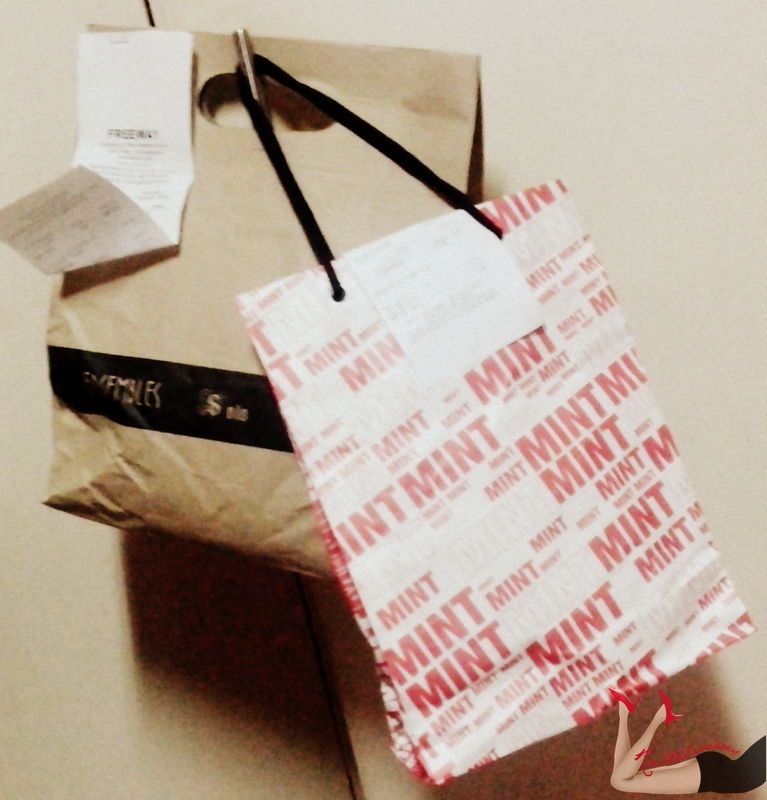 These shopping bags had been hanging around my room for a while. What's inside are really great buys that were on sale as much as 70% off. Click Read More to see what's my good buys! 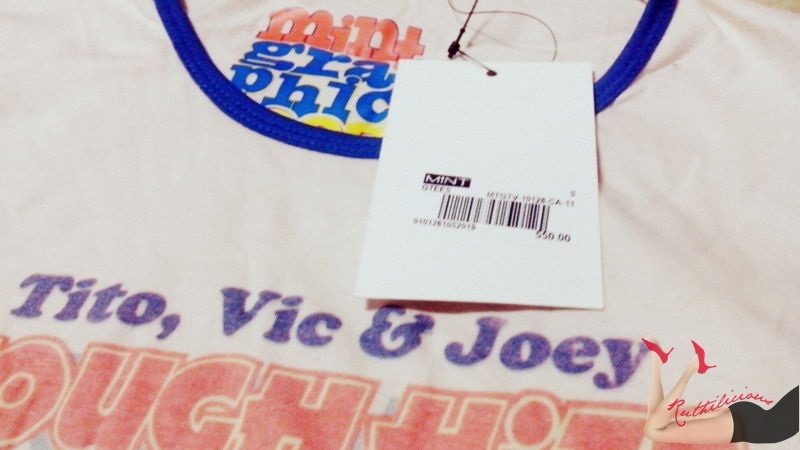 It was the print that first caught my attention, and I was supposed to get the top which has the same print. My mom told me to fit this dress too, and it just fits perfectly. My mom gave a thumbs up and I find myself in the cashier. I can wear in the office, or for Sun-dates. 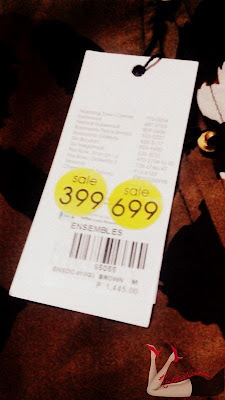 I saw these on display outside the store with sale cards screaming Php 199 only! I almost ran to the store in competition with another girl heading to the same target. Inside the dressing room, I have already decided I will buy one, but what color to get? Purple, red, or blue? I even consulted the girl who assisted me. It was such a big problem. So I have decided I will get the red, but I also want the purple.. no, I mean the blue. I was thinking I have enough shades of blue in my closet, but the color is just a classic, so I just handed my credit card and walked away from the cashier while I checked more stuff in the store. 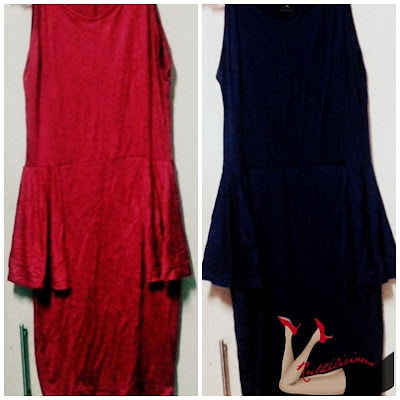 Okay, so I got the red and blue. I love jersey materials. It is soft and comfy - can be worn on casual days, and can even be worn in the office, just put a nice fitting blazer. The savings: Php 2,392 (Php 1,395 each bought at Php 199 each!) You can kill me. But the Freeway, Ensembles and Solo mad sales are not to be missed. I even wrote about it here. This is so far my favorite! Who loves the trio - Tito, Vic and Joey? 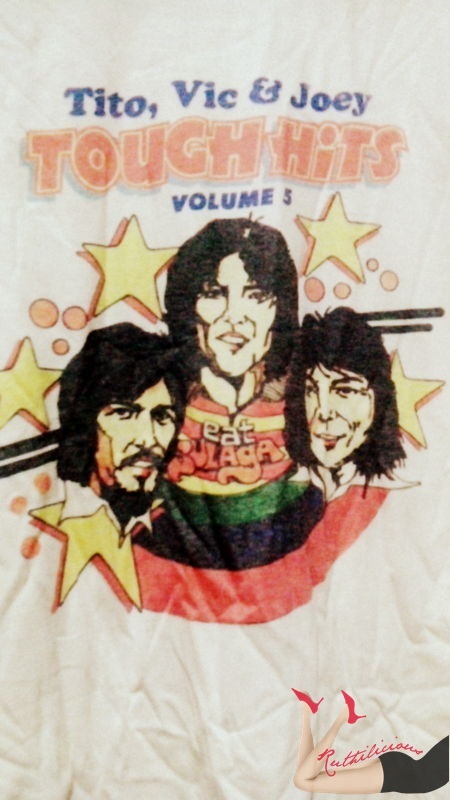 You must buy this Tito, Vic and Joey t-shirt from Mint Store! I have been looking around for this kind of print for the longest time. I was able to buy before from the now defunct store called Branded. But after it has closed down I even had one customized. I never know it was on sale, and I am just planning to buy it. Aside from this print, you can even buy ones with Sharon Cuneta (Mr. DJ), and Pilita Corales. 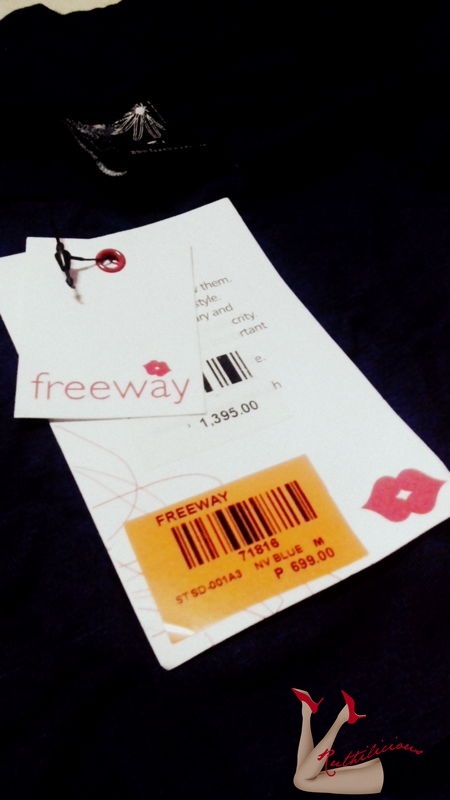 The Savings: From Php 550 to Php200! There you go, some shopping hauls. My next buy would probably be a camera. As you can see i am just using my phone to take pictures. Will keep you posted! What are you recent great buys? 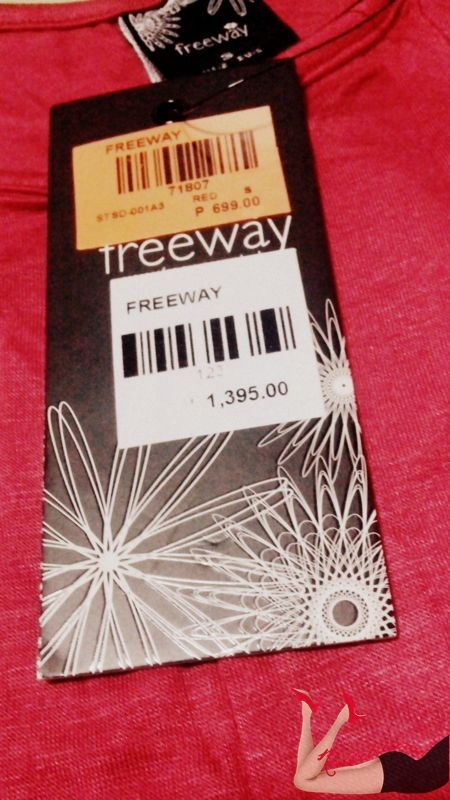 Labels: Ensembles, Fashion, Freeway, Great Buys of the Week, Mint, Tito, Vic and Joey.